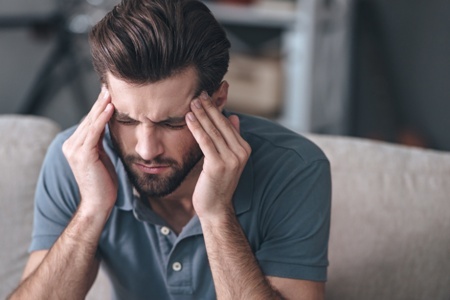 Do you have headaches, jaw pain and persistent discomfort affecting your neck and shoulders? These are just a few of the most common symptoms of temporomandibular joint disorder (TMD, or TMJ after the joint). Many patients are frustrated by headaches and other pain until they talk to their dentist about TMJ disorder. Don’t delay: Find out how Meadows Dental Group can help by calling 303-790-2323. Our office in Lone Tree welcomes patients throughout Colorado, including Highlands Ranch, Centennial and more. The TMJ connects your lower jaw to your skull. It controls the function of your jaw, including speaking, eating and more. The severity of TMD depends on what is impeding joint function and for how long. You might have spoken to your doctor about some or all of these symptoms. You might even have pursued acupuncture, physical therapy and other treatments to find relief. Meadows Dental Group can assess your jaw function and recommend solutions that address the root of the problem. Oral splint therapy is an effective, conservative treatment option for TMJ pain and dysfunction. Our dentists closely examine your bite to assess the way your teeth fit together, identify the motions that cause pain and find a comfortable resting position. The splint looks and feels like an athletic mouthguard. It repositions the jaw to reduce the stress placed on the TM joints and connected muscles, ligaments and tendons. If your TMD symptoms stem from a bad bite, our dentists may recommend braces. Orthodontic treatment will straighten your teeth and align your bite. Correcting misalignment with braces will also reduce the pressure on your TMJ. Though commonly associated with cosmetic treatment, dentists have discovered that precise injections of BOTOX® Cosmetic have helped patients find relief from TMJ dysfunction. BOTOX interrupts the nerve signals between muscles. This makes it an effective way to relieve wrinkles, which develop on the skin over time as a result of muscle activity. However, wrinkles and TMJ are caused by different muscle groups. It’s important to consult a dentist with experience performing injections in and around the masseter muscle. This muscle plays an integral role in chewing and other jaw functions, so relaxing it is an effective way to relieve jaw pain, but the average medical spa or plastic surgeon doesn’t have the experience to perform TMJ treatment with BOTOX correctly. 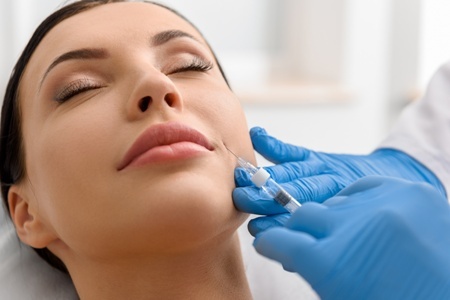 Dr. Scott Peppler has completed courses in the use of BOTOX and other injectable treatments. He performs BOTOX injections to relieve TMJ, as well as for cosmetic enhancement. Patients with extreme TMJ dysfunction may require surgical intervention to repair the jaw joint. If surgery is required, Meadows Dental Group will refer you to a trustworthy oral surgeon who will discuss treatment options and perform the procedure. Dr. Peppler and Dr. Joseph O’Leary both have the skill, training and experience to provide a variety of dental services for patients suffering from TMJ pain and dysfunction. Learn about your treatments options by visiting our office in Lone Tree, Colorado. Call 303-790-2323 today to schedule your comprehensive TM joint exam. Our neuromuscular dentists serve Highlands Ranch, Centennial and other nearby areas.